The terrorist attacks at Tunis’ National Bardo Museum last week shook up the country and occurred as ISIS continues to gain steam in Africa. 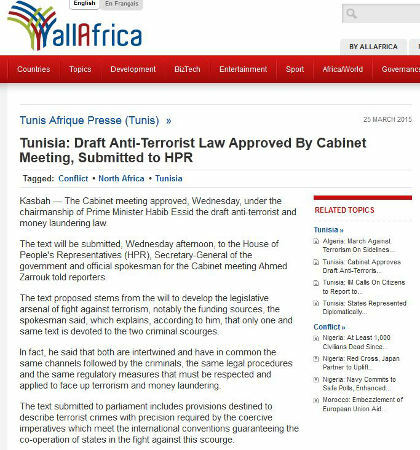 We now see that the Tunisian government is implement tougher anti-terrorism laws in order to stem the rise of terrorism and protect the country’s citizens and its tourism industry. The focus on this proposed law seems to be similar to many others we have seen being proposed around the world; dealing with terrorists returning from foreign lands, curbing the illicit funding of terrorism, better prosecution, special anti-terrorism judges and more. 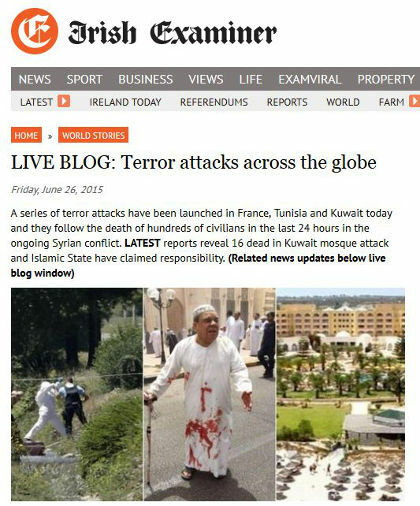 “According to Ahmed Zarrouk, the draft law also provides for the creation of a national committee of fight against terrorism, in charge of the follow-up of the implementation of the international commitments and the proposal of measures to be taken against other authors of alleged terrorist crimes, in addition to the achievement of a national study on terrorist crimes, means to face them and the modalities of prevention. Thus, he said, the future law bans the use of “secret bank accounts”. The text of the law includes 60 articles and provides aggravated sentences until the death sentences, Ahmed Zarrouk in a statement to TAP. According to him, the terrorist returning home after having fought with terrorist organisations will be punished by the new text as was the case of the law of 2003. Answering a question if the text of the law includes penalties for anyone who joins a terrorist organisation in Tunisia as well as abroad, Ahmed Zarrouk replied in the affirmative.